America is on its way to become a cashless society. Almost every store and restaurant accepts some form of cashless payment, be it credit card, debit card or gift cards. I don’t carry as much cash with me anymore like I used to back in Germany. All I have with me is a very small business card holder packed with my ID and a bunch of credit cards. In the back there is a 20 dollar emergency bill in case I ever run into the issue of having to pay cash for something. If you’re not a big fan of using credit cards for everything, but still want to save money on your purchases in the U.S., you should consider buying gift cards. Gift cards are not only a quick and easy present for somebody you care about, they can be a very smart way to save a significant amount of money. Let me show you how. Don’t ever buy gift cards for stores and restaurants onsite! You would just pay a dollar and get a dollar. Instead, go to a gift card website like Raise.com or Cardpool.com. On these sites people who ended up receiving a gift card for something they don’t need, sell their cards at a discount. Depending on the store the discount can be up to 40% and higher. Restaurants are usually discounted between 5% and 15%. I personally like to buy gift cards for AMC theatres and Marshalls whenever I can get a card 15% off. My wife and I shop at Marshalls a lot, so the savings add up quickly. Same with the theatre. There’s no credit card that gives you that amount back in miles or cash. But you can definitely leverage your savings by another 1-5% by using a credit card that gives you cash back for purchasing gift cards. How cool is it to find a good deal at a store and then save even more by paying with your discounted gift card, that you paid for with a credit card that gives you cash back? In today’s world you have to be on top of things to save as much money on a purchase than possible. After trying out a few gift card platforms and comparing prices I keep coming back to Raise.com. They seem to have the deepest discounted cards for the stores I shop in. 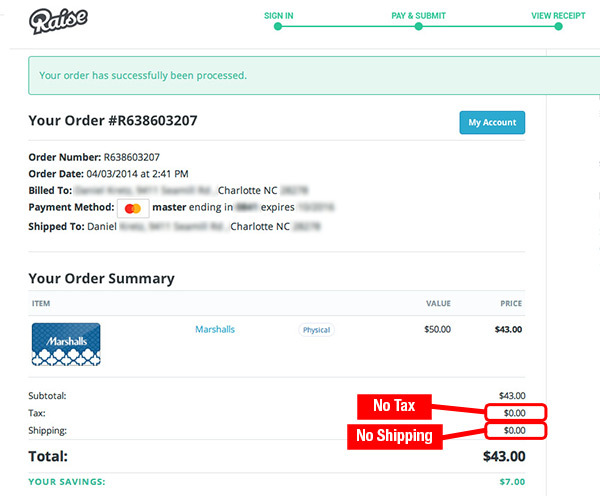 You’re probably wondering about shipping cost when you order gift cards online. 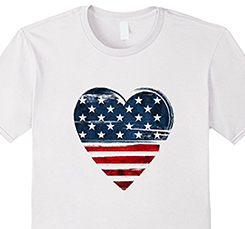 Raise.com as well as most other platforms offer FREE Shipping on all of their gift cards and you don’t have to pay sales tax either. 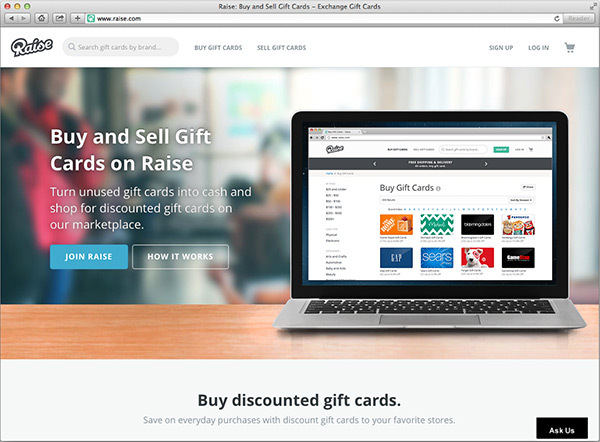 Here is the front page of Raise.com, one of the easiest to use gift card platforms out there at the moment. 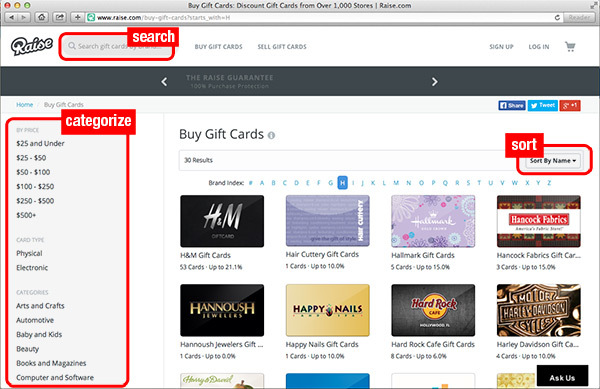 Raise.com makes it super easy to navigate and find the gift cards you’re looking for. Their interface lets you browse alphabetically, by categories or sort by highest discount. I usually know exactly what I am looking for and just type the name of the store into the search field. We just got an H&M clothing store here in Charlotte and I was thrilled to find gift cards on Raise that were 21% (!) off. Once you order it takes between 3-15 days until your gift card arrives in the mail, unless you bought an electronic card. For that you will receive the gift card code per email within an hour. To maximize your gift card discounts make sure to pay with a credit card that gives you miles or points back. Last year Chase Freedom and Discover card were earning you an additional 5% on online purchases. Other cards usually pay 1-2 miles/points, which is equivalent to 1-2% off your purchase. I became a huge fan of paying with gift cards and I make sure to check the Raise.com site frequently for new cards. The discount rate fluctuates a lot and cards are not always available. But the fact that I can pay for a clearance item at almost any store with a discounted gift card brings smart shopping to a whole new level. If you would like to give it a shot, I have a promo code for you, that will give you an additional $5 off your order of $60 or more. Just sign up here and use promo code RAISE60AF while checking out your first order. I’ve had an issue with a Red Lobster gift card recently, that was not working when I wanted to use it at the restaurant. I contacted Raise.com about it and they reimbursed the full amount within a couple of days. 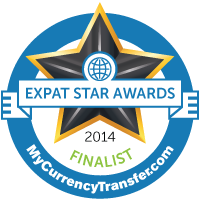 I was very pleased how responsive and fast they handled this issue. Just email them and they usually respond within one day.